G&R Electrical Wholesalers provide the highest level of customer care and technical support for all your electrical wholesale and service requirements. With competitive prices, a fast delivery service and a dedication to our clients, G&R Electrical really is the full electrical services package. As a family run business, G&R Electrical Wholesalers Ltd understand the importance of loyalty, support, trust and dedication, qualities that we aim to pass on to our staff, customers and suppliers. The company is a member of The Association of Electrical bulk buyers (AWEBB). This is a group of 65 similar wholesalers around the country, with a combined turnover in excess of £200m, who focus their purchases to enable them to compete with the national wholesalers. AWEBB members have a total of 130 branches around the country, which any account customers can visit and purchase goods from. AWEBB also organise quarterly meetings where the directors are able to network with members and suppliers, enabling them to keep abreast of product development, strategy, and training opportunities. AWEBB also have a bulk store in Ilkeston where the company enjoy a daily delivery of many consumables. The company’s success has been built by providing high levels of customer care, technical advice and support, competitive prices, a fast and reliable delivery service and an on-going commitment to clients. By offering an extensive product and service range we have helped our customers to succeed and grow. Founded by David Gray and Brian Revell (sadly deceased 1992), the company was established in 1988. The partners both had over 20 years’ experience in the industry. In 1993 the company was incorporated and was run by David Gray. In 2012 David semi-retired and Iain Gray (David’s Son) and the two Branch managers (Joanne Blower & John Menhenitt) purchased 75% of the business. The company has steadily grown for the past 10 years and is now a major player in the Devon and Cornwall area and the company have specialised in energy saving and carry out, when requested, free surveys on any size commercial premises. With so many professional and hardworking companies available within our industry it is often hard to choose the right company for you, as a customer, to commit to. 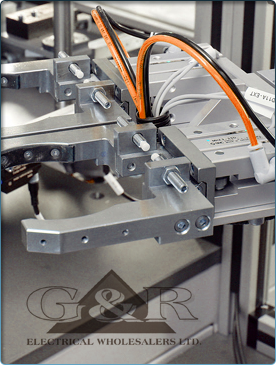 Here at G&R Electrical Wholesalers we treat every customer as an individual and tailor your needs to your business. When looking for a dependable electrical wholesaler you can trust it’s important to get to know a little bit about the business too, so helping you to learn about G&R Electrical Wholesalers is incredibly important in helping to build trust between you, our valued customer, and ourselves. With such a rich history in the electrical supplies industry, G&R Electrical Wholesalers are a group of dedicated professionals who fully recognise the importance of trust, dedication to the job, loyalty and support – all of which we strive for on a daily basis. As a family run business and a member of The Association Of Electrical Bulk Buyers (AWEBB), as you learn more about G&R Electrical Wholesalers you’re sure to realise that we combine the excellent customer service you’d associate with any family firm, with the buying power and industry reputation of one of the largest electrical stockists in Plymouth, Redruth and the South West region. Our membership to AWEBB means we can easily compete with the largest national wholesalers on price, while striving to beat them in terms of customer service at every opportunity. Our company success has been built on a foundation of excellent customer care, but we’re also passionate about providing the highest level of technical support and advice on any installation, be it a small domestic project or large industrial-scale job. As you come to learn more about G&R Electrical Wholesalers it will become apparent to you that our extensive products and services range, all delivered at highly competitive prices, are why we have been able to develop so rapidly in the Devon and Cornwall area. The history of G&R Electrical Wholesalers is colourful – and we’ve ensured there are many success stories amongst our customers during the past twenty-five years. Founded in 1988 by David Gray and Brian Revell, who both had over 20 years’ experience in the electrical industry, G&R Electrical Wholesalers was incorporated in 1993. In 2012, David semi-retired and his son, Iain, along with the two branch managers, Joanne Blower and John Menhenitt, led the business into 2013. We want YOU to grow with US! 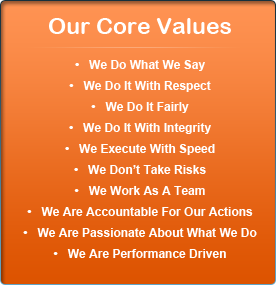 What more is there to say about G&R Electrical Wholesalers? As a performance driven company we have steadily grown over the past ten years and we’re one of the first names that come to mind when any tradesperson is looking for a reliable electrical wholesaler in Plymouth, Redruth and the entire South West region. Specialising in energy-saving, we carry out free surveys on any size commercial premises on request, so why not contact us today for a no obligation discussion – let’s start a brilliant working relationship together. While it’s often hard to choose the right company to trust with your electrical supply needs, we’re confident that our positive attitude towards our customers and tailor-made approach to your requirements will leave you 100% satisfied. 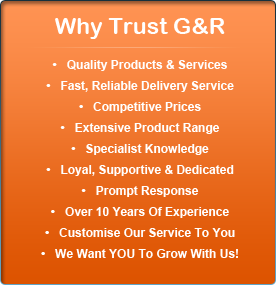 If you have any further questions about G&R Electrical Wholesalers, don’t hesitate to get in touch.